As we enter the home stretch of this 2018 college football season, there are more rivalries and hateful associations to contemplate upon, and nothing (I do mean nothing) has been settled despite what the Sports Network talking heads may tell you. So take a deep breath and buckle that chin strap and get back in the game. I am far to excited about the next upcoming segment of this week’s article to belabor the point on the tremendous success Your Favorite College Football Prognosticator had last week recording a rather remarkable 50 and 11 or 82% (Thank you Delta State Fighting Okra) and leaving The CFB Wizard at 601 and 137 or 81% for the season. I want you to know that I do recognize this is and always has been a remarkable number of college football games to “Pick” each and every week and certainly I appreciate your questions and suggestions throughout each and every college football season. Many of you have remarked that I am “committed” to the season, which is a kind way of saying I need to get a life and “Doc” the Black Lab has assured me that I will in fact be committed by the end of this college football season. I hope that backwards facing jacket I will be issued doesn’t bind under the arm pits. Noted Music Icon and once world renowned yodeler Stevie Yonder said this…. CEO and President of SONY Records Mr. Win Chang Chow said this….. So without further ado I am honored to bring you yet another “World Premier Video” written and performed by Superstar Mr. Sylacauga Ledbetter and this song was written by him especially for the disgruntled and distraught football fans of Florida State. This may seem crazy to you readers, but I think I am on a roll here…. I honestly have no idea which team is going to show up for whom here. The Bronco’s won the coveted “Milk Can” over Fresno State…. I won’t miss this one…. One week away from the Iron Bowl……. Urban Liar and the Black Eyes will pass the hapless turtles….. Damn it Kentucky, I can’t even look at you right now….. These potatoes are going to get mashed in the Swamp…..
At the beginning of the season both of these teams had so much hope and promise…..
That was a fart in the wind, wasn’t it? I think the kids from the toothpaste school are going to get their teeth knocked out…. Gosh, remember when this was “the” Big game in the Big 12 (Light) Conference? The winner of this game has the inside track on the “Prairie Belt Sausage Bowl” in St Paul Minnesota. I know, the suspense is killing me too….. In my very best Hank Hill voice……. Despite the Buffalos lackluster performance in the past five games and the subsequent dismissal of their head football coach, it is still nonetheless awe inspiring to watch Wynonna Judd lead the team onto the field in Boulder. Call it wishful thinking on my part……. It’s going to be cold and dreary in beautiful Huntington West Virginia on Saturday…. Did I mention that it’s going to snow too? Yippee the Tar of Heels rebound after the embarrassing loss the Duke…. 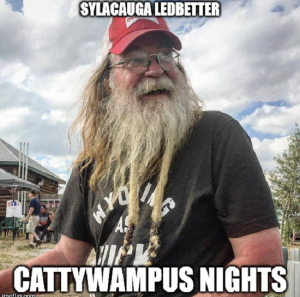 If you enjoy wild shoot-outs and don’t want to watch Live PD or reruns of “Cops”..
Look at the bright side Seminole fans…..
Sylacauga Ledbetter wrote you a song and recorded you a video. I am sure this is another in the long list of Big Ten (What’s the number really?) Conference rivalry games, but I can’t remember what its played for. Damn it Navy, I am serious……. Which leads me to say…. This pick is for you Mr. Tyler Trent…..
Any team that flaunts their mascot carrying a firearm and riding a horse is ok by me. I wouldn’t necessarily call this one an “Upset”……. This game is going to be uglier than watching a big girl floss her teeth. Although the Falcons of Air Force are a three touchdown underdog…. Believe it or not I actually had someone contact me yesterday to tell me….. I still believe in the power of Lionel Richie and the Commodores….. I do believe Chattanooga’s Choo-Choo has gone off the rails in this one…. ESPN College Game Day (Presented to you by Home Depot) will be at this game. Nothing quite like encouraging the delusional and those devoid of reality. You damn right this is an “Upset Special”….. If Brigham can’t win this one then they need to pack the wagons and head back east and start the trek all over again. Just saying…. Coach Mike the Pirate is moving into the College Football Playoffs….. I don’t really give a quack about staying up until midnight to see this game….. The Bobcats have won the last two in a row…..
Fargo Dome in Fargo North Dakota……. It’s going to be a stampede …. NOTE TO SELF: Anything with the words “Chinese” and “Surprise” in the same sentence should be avoided and if you don’t think so ask any veteran of the Korean War. If that story doesn’t make you thankful that you aren’t me this Thanksgiving, then I can’t help you.